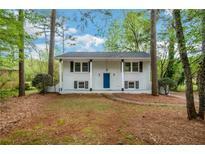 Find Avondale Estates, GA Condos for sale. View Photos, Maps and MLS Data Now! Flex Space Ideal For Add'L Living Area Or Huge 4Th Bedroom, Plus Cozy Book Nook!Charming Patio,Large.Yard,2 Car Garage(Easily Fenced In).Museum School Tier 1 Lottery Eligible! 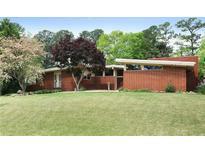 MLS#6539991. Keller Williams Realty Metro Atl. Hdtv'S Vern Vip Re-Did Master/Dining Room! MLS#6540949. Keller Williams Realty Metro Atl. Tier 1 Lottery For Museum School. A Pleasure To Show. MLS#6532920. Alma Fuller Realty Company. Butler'S Pantry, Mud Room, 2-Car Garage, Wide-Plank Custom Flooring In A+ Loc W/Neighborhood Park, Pool And Lake! MLS#6537458. Compass. 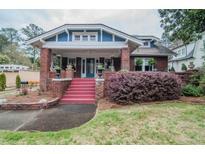 Short Walk To Downtown Avondale, The Lake, Community Pool & Neighborhood Schools. MLS#6537212. Simply List. Easy Access To Neighborhood Amenities: Lake, Pool, Exciting Downtown Ae. MLS#6534464. Origins Real Estate. Walk In Cedar Lined Closets With Original Built In Storage. 4 Bedrooms Plus Office. MLS#6524804. Keller Williams Realty Intown Atl. Conveniently-Located Close To Marta, Emory/Cdc, Downtown Decatur. MLS#6535225. Keller Williams Realty Metro Atl. Hardwood Floors Throughout Main Level, New Exterior Paint, New Cabinets In Kitchen And Bathrooms. MLS#6535368. Exp Realty, Llc..
Two Car Carport With Storage Room. MLS#6532420. Bhgre Metro Brokers. Walk To Avondale Village Or Become A Member Of The Avondale Swim & Tennis Club. MLS#6532272. Nest Realty Atlanta. Glen Cove - Downtown Decatur & Dekalb Farmers Mkt - 10 Min. Emory 15 Min. MLS#6529632. Engel & Volkers Atlanta. Minutes To Avondale Park; Avondale Swim & Tennis. MLS#6522132. Alma Fuller Realty Company. Zoned For The Excellent Druid Hills High School Ib Program. MLS#6523785. Keller Williams Realty Metro Atl. Literally Too Many Extras To List!! Come See Us Quick! ! MLS#6522243. Exp Realty, Llc..
Don'T Let This Gem Slip Away, Move Today! MLS#6520513. Duffy Realty Of Atlanta. S'Mores Around The Fire Pit & Play In The Woods Since The Yard Goes Way Beyond The New Fence. MLS#6518772. Harry Norman Realtors. Covered Porch With Stone Fireplace Is A Bonus! MLS#6517983. Re/Max Tru. Covered Porch With Stone Fireplace Is A Bonus! MLS#6517749. Re/Max Tru. Generous Sized Secondary Bedrooms W/Walk-In Closets & Open Loft! MLS#6517686. Re/Max Tru. 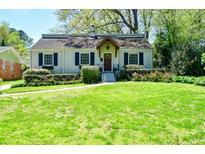 Minutes To The The Bike Path, Downtown Decatur And The City Of Avondale. This Is A Must See!!! ! MLS#6517861. Palmerhouse Properties. Backyard Oasis Will Make This Home A Go-To For Gatherings W/Saltwater Pool, Covered Patio, Stone Island With Built-In Fridge, Ice Maker + Built-In Interior/Exterior Sound System. MLS#6515174. Palmerhouse Properties. Easy Walk To The Pool And Lake. MLS#6513622. Re/Max Around Atlanta Realty. The Fireplace In The Living Room Is A Great Spot For Entertaining & Enjoying Friends. Come Quick & Make It Yours. 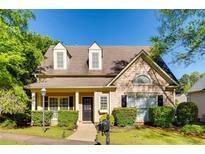 MLS#8536712. Keller Williams Rlty Atl. Part. Glen Cove - Near Downtown Atlanta, Decatur, I-285, Dekalb Farmers Market. Beautiful Chalet-Styled Downtown Avondale. MLS#6513375. Keller Williams Realty Intown Atl.